A unique 3D hands-on puzzle adventure game, set in the exact time and place where the world's greatest inventor lived and worked - new 3D adventure puzzle game that challenges The Room series head on. 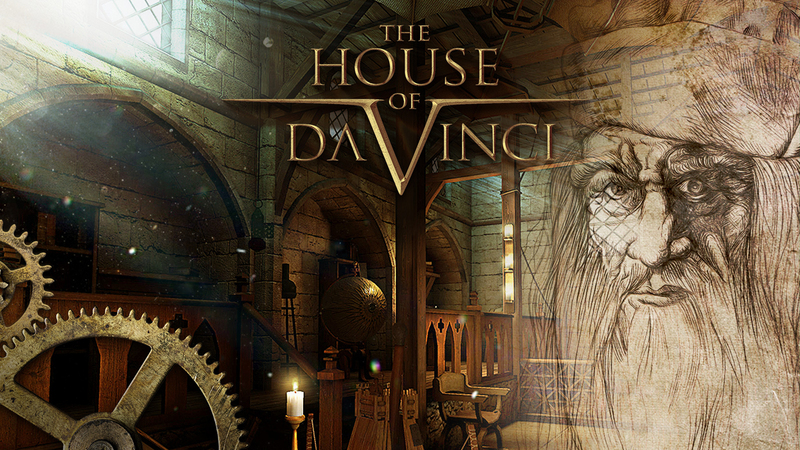 The House of Da Vinci is unique and authentic 3D puzzle adventure game with intuitive single-touch control set in a powerful storyline that unfolds around the mysterious disappearance of Leonardo da Vinci. This amazingly detailed, historically accurate storyline lets you enter The House of Da Vinci, explore his world, and; try to discover what caused him to disappear — while you reveal his brand new invention. You’ll experience siege machines, secret passages, complex lockboxes hidden far beyond where any eye can see. Explore Leonardo’s investigations into anatomy, architecture, even flying machines! You’ll encounter mechanical puzzles, brain twisters and various baffling riddles, all based on Da Vinci's actual historic inventions and concepts. With its intuitive single-touch control, playing the game couldn’t be any easier. Since entering his workshop, you’ve quickly become one of Da Vinci‘s most promising students. But today, you find yourself searching throughout his house, becoming increasingly alarmed. Where is the Master this fine day? He should already be here, inspecting your latest project, instructing, criticizing. Instead, the workshop is totally empty. A tingling sensation begins to run up and down your spine. Something isn’t right. What happened here? You must escape Da Vinci's workshop to learn the truth. One thing is certain: Your master, the great genius Leonardo da Vinci, has disappeared. But where, exactly, has he gone? Has one of his amazing inventions gone haywire? Or are shadowy assassins from the Church responsible? You’ll need all your wits, and all the skills you’ve learned from the Master, to learn what really happened. Do you like The House of Da Vinci?